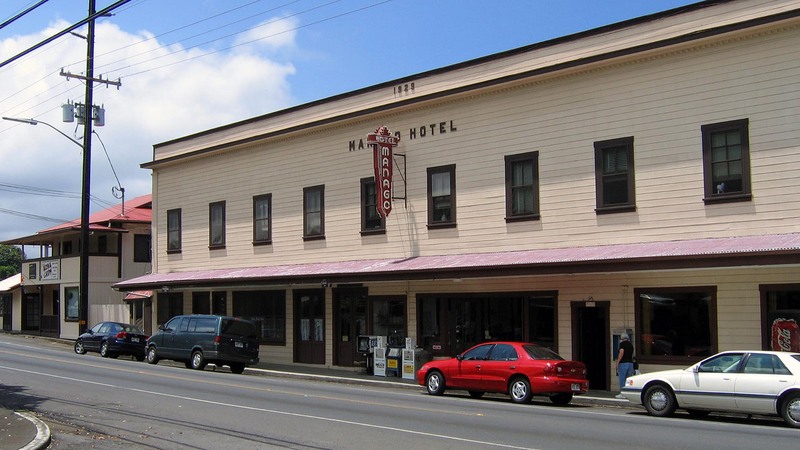 The Manago Hotel and Restaurant. Hawaii has more than its share of places where you can get great homestyle cooking. Of course, each island has its own version of mom and pop restaurants. Here, many generations of local families have savored their favorite style of home style cooking. Food and travel inevitably always go hand-in-hand. So there is no better way to learn about different cultures than by partaking of their foods. This would be especially of the type of dishes that they grew up with. Here is just a sampling of places you can get great homestyle cooking in Hawaii. On the Big Island of Hawaii, there is the sleepy little town of Captain Cook. Here, you can find a casual restaurant at the Manago Hotel. It may be one of the most iconic mom and pop places to eat in the entire Hawaiian Islands chain. Nearly a hundred years old, the restaurant takes you back in time. This is because it truly has the look and feel of the old coffee plantation days. The food is simple, reasonably priced and literally tastes like how your mom used to cook it. We recommend you try their pork chop as it is one of the favorites among local residents. On the Garden Isle of Kauai, a popular places for breakfast has been the Tip Top Motel Café & Bakery. As noted in its name, the restaurant is a part of a motel that also has a bakery. While the restaurant has the ambiance of a small cafeteria, the food definitely won’t look or taste like that. As an example, your typical cafeteria won’t serve dishes like banana macadamia nut pancake, oxtail soup, saimin or loco moco. But you can certainly get them as signature dishes at Lihue’s Tip Top Café Motel & Bakery. One of Hawaii’s most beloved comfort food is saimin. Saimin is Hawaii’s own special version of Japanese ramen. For the uninitiated, saimin looks like ramen. But people in Hawaii will tell you that it definitely doesn’t taste like it. One of the best places to get saimin in its most classic and purest form is at Palace Saimin. You’ll find it in the Kalihi area of Honolulu on the island of Oahu. All they serve here is saimin along with its traditional accompaniments, such as won ton and barbeque sticks. Fortunately, in the opinion of many people in Hawaii, they do it quite well. One can find Sam Sato’s in the quiet and unassuming town of Wailuku on Maui. It has been regularly serving comfort food to many generations in the local community. At this long time island landmark, you can get a wide range of local style foods. Examples include plate lunches, saimin and manju, a Japanese style pastry with sweet bean filling. But come early as the restaurant only serves breakfast and lunch. Perhaps, the most popular dish at Sam Sato’s is their dry mein. This dish comes with fried noodles, char siu pork, bean sprouts, green onions, broth and Sam Sato’s famous seasoning. Want to visit any one of these restaurants offering homestyle cooking in Hawaii? Need deals on Hawaii interisland flights and packages to travel to these places? If so, check out this website for some of the most competitive rates anyone can find on the Internet.